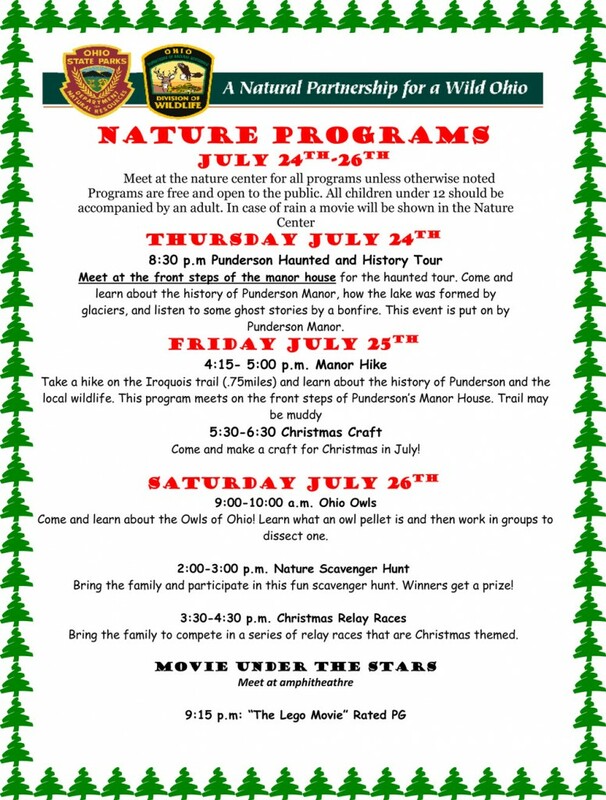 We apologize for the late notice on this but the Park organizes the Christmas in July activities and we didn’t get a list until recently. Below you can find the itinerary for the Christmas in July Weekend down at the Campground. There will be fun activities, crafts and a movie!